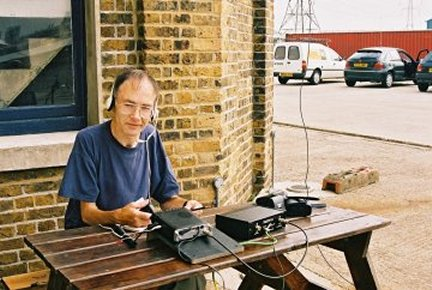 Barking Radio and Electronics Society folded in March 2012. 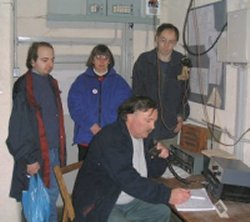 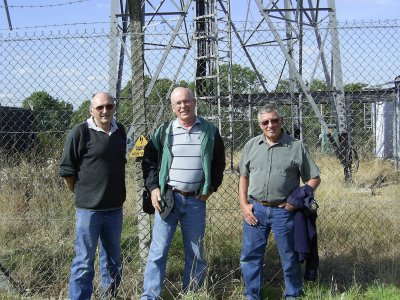 Since then, Members have relocated to The Secret Nuclear Bunker Contest Group and The Loughton & Epping Amateur Radio Society. 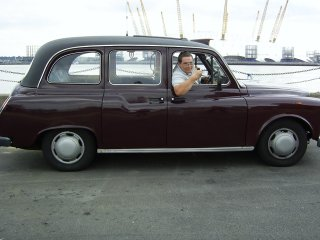 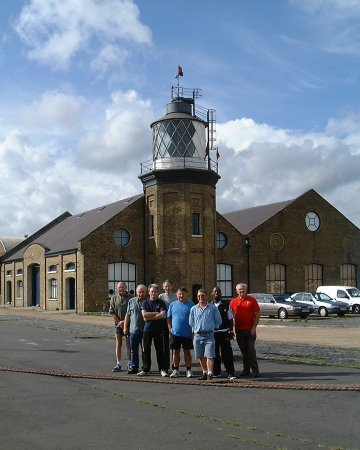 The club was founded around 1966 and originally met in a school in Gascoine Road, Barking. 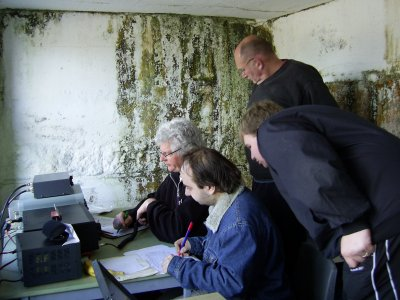 When the school was demolished we were offered a classroom at the Westbury Education Centre, Ripple Road, where the club flourished until September 1999. 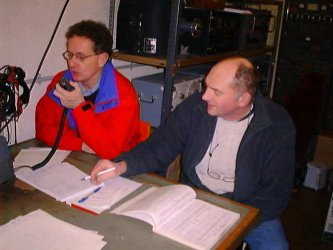 During this period between 60 and 100 people attended RAE courses and most of them passed, hence the current membership is made up mainly of ex-students. 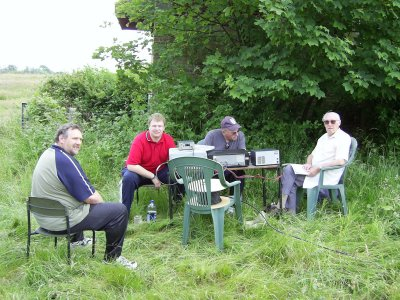 The club has now been at Parkside for nearly 10 years and welcomes all visitors. 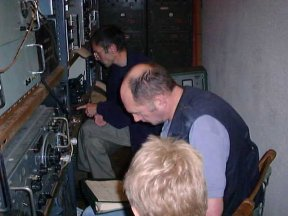 Kelvedon Hatch Secret Nuclear Bunker is both one of the best sites to work at and one of the worst. 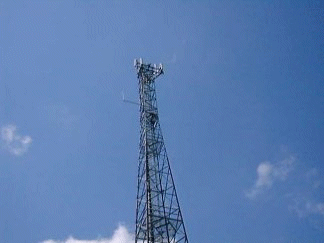 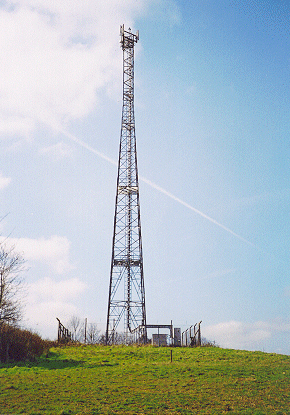 The site features a 46 meter (150 foot) mast, situated on the top of a large hill. 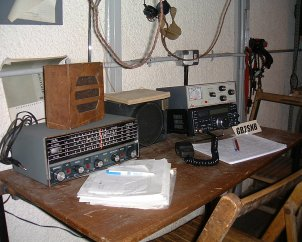 At the top of the mast there is quite a lot of microwave stuff, and cell phone equipment, with cabinets of equipment scattered around the base compound. 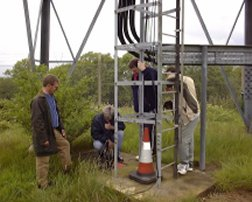 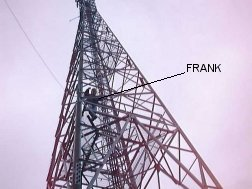 Frank, G7TAX, volunteered to climb the tower to see how the existing antenna is fitted. 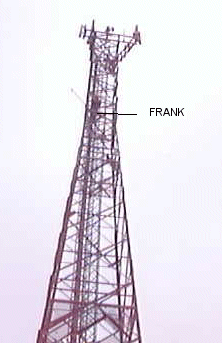 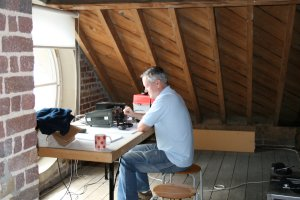 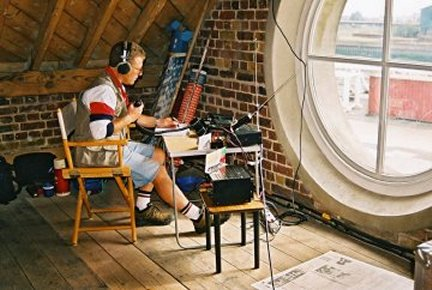 The image here shows Frank at work 31 meters (100ft) up the tower, clamping the tri-band (6m, 2m, and 70cm) antenna to the mast. 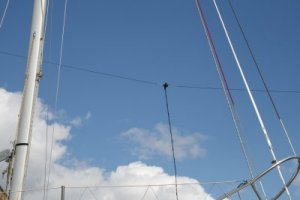 He had a bit of luck with the coax from an existing PMR antenna – the connections were the same way round as the one we fitted to our antenna so it was just a matter of swapping it over. 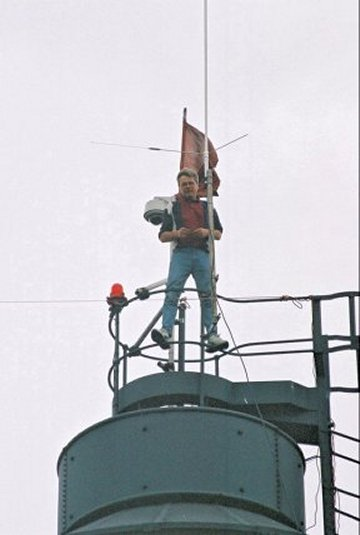 A full sized G5RV antenna was also set up by Frank between the tower and a large pole housing an air raid siren. 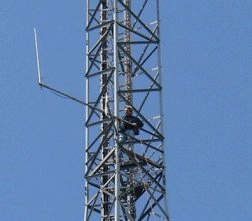 This met the heliax at the bottom of the bunker mast. 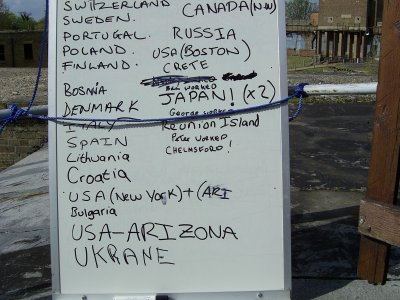 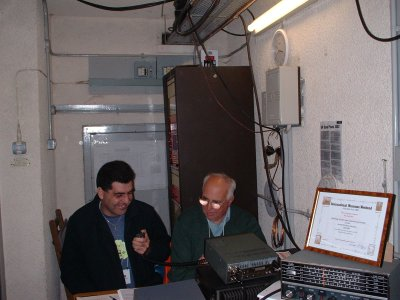 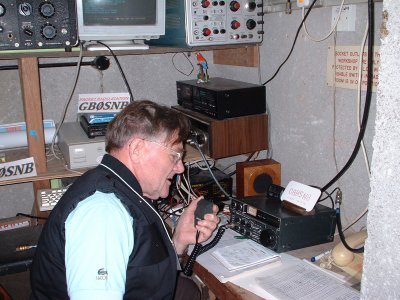 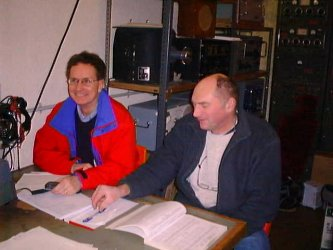 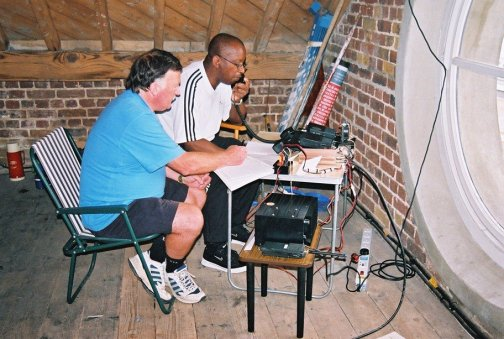 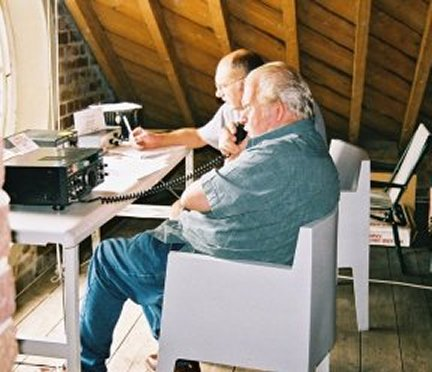 Once the station was up and running, a temporary callsign of GB2SNB was issued, which changed to the now permanent GB0SNB. 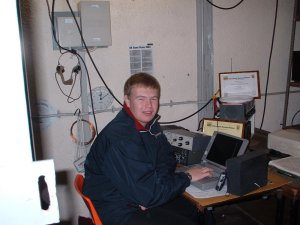 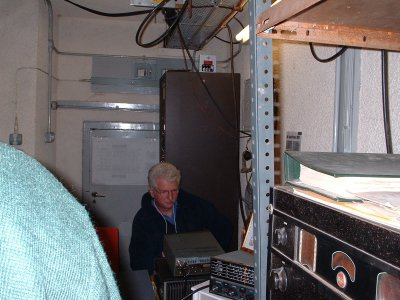 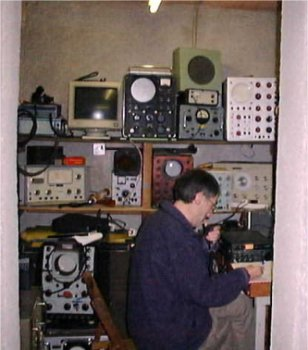 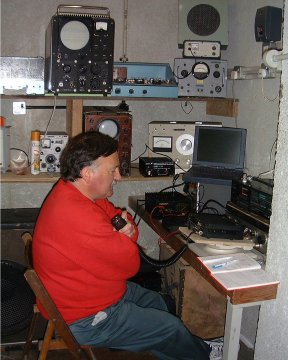 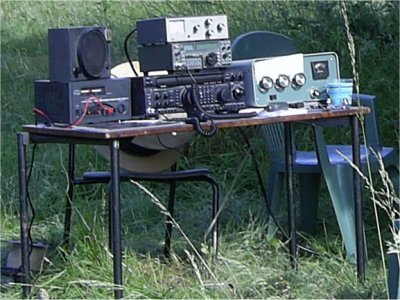 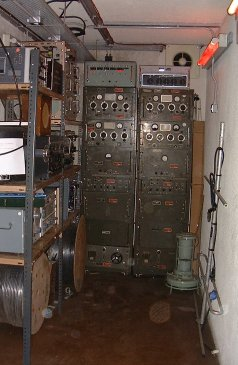 The bunker is equipped with gear for operation on HF and V/UHF. 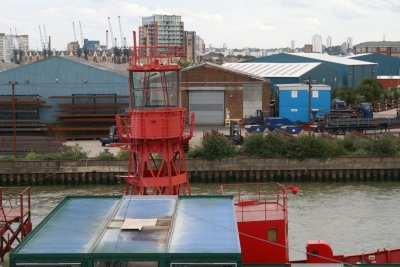 One clubnite whilst speaking to Paul (G0LLE) it came to light that there was a lighthouse in London’s east end on the river Thames. 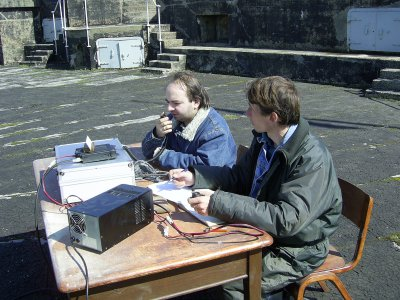 Following a visit to the site and some discussion with the current occupiers it was decided to take part in the ‘Lighthouses on the air’ weekend. 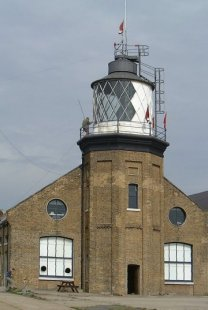 Antennas were fixed by Frank (G7TAX) to the top of the lighthouse, and a G5RV was attached from the lighthouse roof to a light ship floating in the Thames. 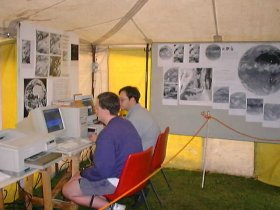 The Dagenham Town Show is an unforgettable event with entertainment and attractions for all the family. 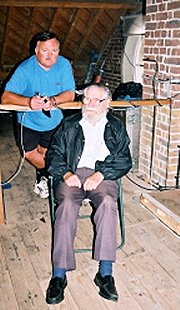 This traditional event has been running since 1952, and is part of the borough’s history and identity. 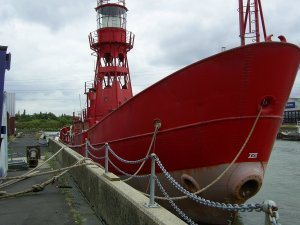 It features a host of entertainment for all the family including the craft and trade village, funfair, rides, competitions and exhibitions from the Council and voluntary sector. 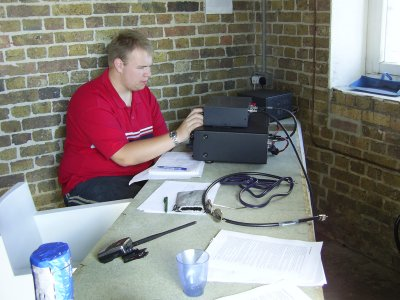 The numerous arenas host a range of family entertainment including slapstick fun and games. 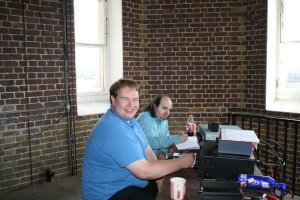 Not forgetting the Carnival Parade that concludes the arena entertainment on the Saturday. 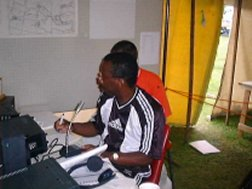 The show boasts concert stages featuring named artists, up and coming acts, tribute bands and local performers. 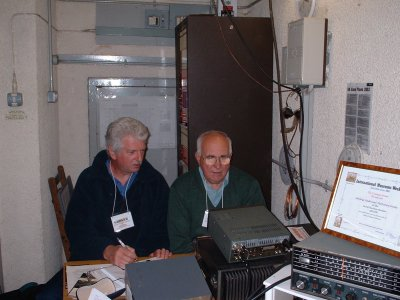 Our marquee was part of the show, and offered the public a chance to see all aspects of Amateur Radio in operation. 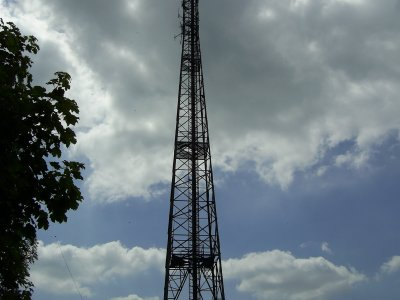 The club was involved with the show for 33 years, up until recently, where it pulled out due to financial constraints. 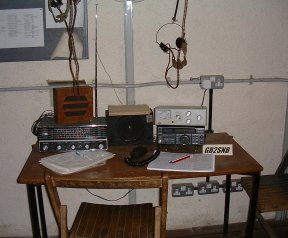 The Club’s homepage details some interesting stories regarding the show, and can be found here.